Bacon, You've gone too far this time. Perhaps you haven't gotten our repeated entreaties asking for you to leave us alone and go away quietly, but you've gone way too far this time. 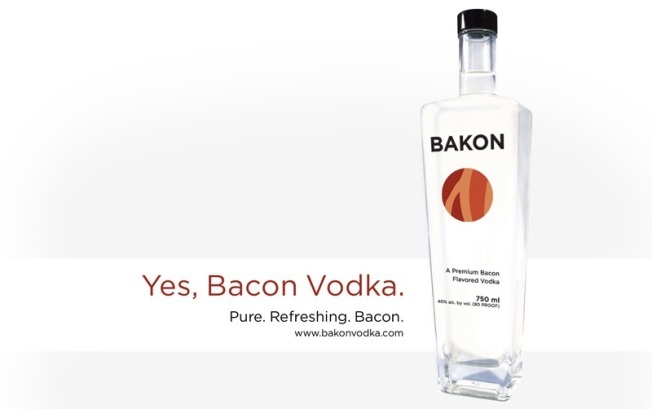 This whole bacon-flavored vodka thing has really pushed us over the edge. It must be said, your latest maneuver is about as far away from Don Lee’s bacon-infused Old Fashioned (which he concocted while at PDT, though he now mans the bar battle station at Ssam) as you can get. We can just see the boys in the distilled spirits lab at Black Rock Spirits going to work on this months ago, as the entire world lost its collective little mind over the Bacon Explosion—and the vodka coming to market right when people are wondering they can get Swine Flu from drinking it. P.S. OK, we must admit, we’re mildly intrigued at the concept of putting this in a Bloody Mary garnished with a thick slab of bacon.